By Drew L. Kershen. Professor Emeritus University of Oklahoma College of Law. Professor Kershen has been active in agricultural biotechnology law and policy since 1997. Many people may think that GMOs are not regulated, when actually, GMOs are one of the most regulated products in agriculture history. One of today’s most common misconceptions about GMOs and biotechnology is that they are not regulated, when in fact, GMOs are one of the most regulated products in agriculture history. GMO Answers reached out to law professor and GMO Answers volunteer expert Drew L. Kershen for his perspective on the current U.S. regulatory review structure for agriculture biotechnology and what we may expect in the future. 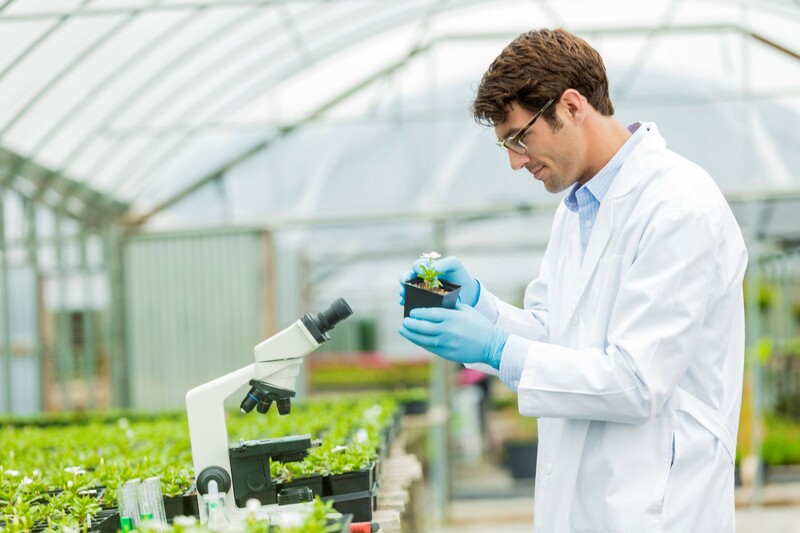 The United States Department of Agriculture Animal Plant and Health Inspection Service (USDA-APHIS) assesses plants bred through biotechnology to assure that the plants are not a plant pest or a noxious weed in farmers’ fields. The Environmental Protection Agency (EPA) uses its statutory power over pesticides to regulate agricultural biotechnology when the trait engineered into the plant or animal acts like a pesticide — e.g. plants that control damaging insects by being toxic to the pest. The Food and Drug Administration (FDA) uses its delegated authority concerning food to assure that food (either whole or ingredients) from genetically engineered plants or animals is safe and substantially equivalent to foods already on the market. In addition, the FDA uses its power over drugs to regulate biotech animals as if those animals were new veterinary drugs. But, in this blog post, I focus on regulatory review for food safety as consumers are most concerned about regulatory agencies assuring food safety. USDA-APHIS, EPA, and FDA regulate using statutes that pre-existed agricultural biotechnology. Under the Coordinated Framework for Biotechnology, promulgated in the 1980s, the United States decided not to create a unique and separate regulatory structure just for agricultural biotechnology. The United States made this decision because the United States wanted to focus on the end products (the plants or animals) of agricultural biotechnology and not on the process of biotechnology itself. Risks (if any) to the environment, human and animal health, or plant and animal performance arise from the genetic traits and not the breeding method by which the plant or animal acquires the genetic trait. The scientific consensus is overwhelming that agricultural biotechnology does not create unique or different risks as compared to other breeding technologies. Although risks (if any) arise from the genetic traits bred into plants and animals by using biotechnology, each of the three U.S. agencies used biotechnology itself as the trigger to invoke regulatory scrutiny when agricultural biotechnology began to emerge in the 1990s. The agencies did so because of the newness of and lack of familiarity with agricultural biotechnology. Since the 1990s, thousands of laboratory experiments, trillions of human meals and fed animals, and agronomic performance on more than a billion acres of farmers’ fields has proven that genetically engineered plants and animals create no unique or different risks than conventional or organic plants and animals. Consequently, each of the three U.S. agencies are presently reviewing their regulatory approaches to agricultural biotechnology. As of early 2018, one cannot predict the outcome of this regulatory review. From my point of view, most scientists hope that the review will change the regulatory trigger from the fact of using biotechnology to a focus on identifiable risks (if any) of the engineered traits. If the focus (the trigger) becomes identifiable risks, most scientists expect that the regulatory burdens on biotech plants and animals should and will diminish — without compromising the agencies’ obligations to protect health, safety, the environment and plant and animal performance. After more than 20 years of agricultural biotechnology, agency review of the regulatory structure is appropriate for another reason. Since the 1990s, scientists have learned much more about molecular biology and genetics. Scientists have developed additional and even more precise methods for genetic engineering. These new techniques have acronyms, among others, such as TALENs, ZFNs, CRISPR/Cas and synthetic biology. Just as scientists create new knowledge and develop new understandings, so too should regulatory agencies change their regulations to be responsive and current in their knowledge and understanding. As agencies review their regulatory approach to biotechnology, agencies must address two fundamental questions: 1) What is the appropriate level of regulatory scrutiny for agricultural biotechnology, especially for these new, more-precise methods? 2) When and how should an agency exercise appropriate regulation? From my work in agricultural biotechnology law and policy, I think the agencies should answer by focusing on identified risks, if any, of the product (and not on the process) and by invoking regulatory scrutiny only when proportionate to the identified risks. Indeed, I have been a co-author on an article making precisely these recommendations to the agencies reviewing their regulatory policies. So in my opinion, the current U.S. regulatory approach to agricultural biotechnology is outdated and needs an appropriate and scientifically-sound updating.